-High sensitive six-axis 3D acceleration sensor. Capture every tiny movement with more accurate counting. -Detect calories consumed. Accurrately record the calories consumed, allowing you to run more scientifically. -24-hour detection. Record the motion state of the whole day. 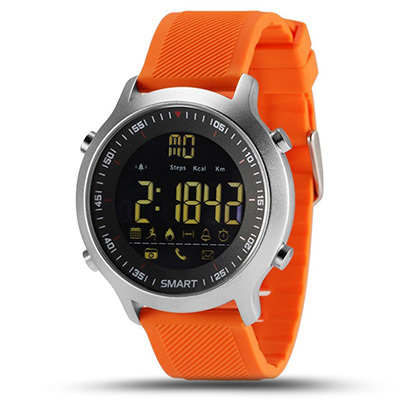 -Low power consumption, super-long battery life. -Made up of environmental health materials, and has passed the strict skin test. 1. Please charge with 5V/1A USB port. 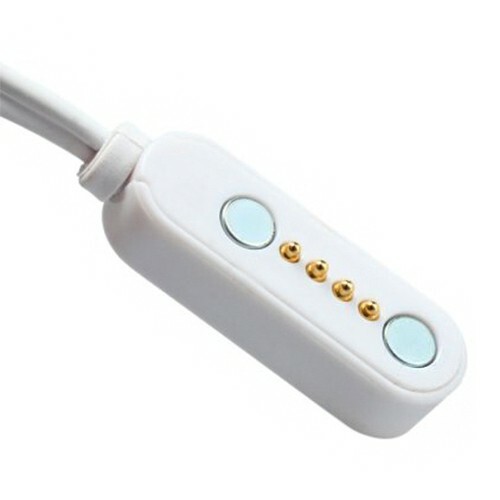 Please DO NOT connect the bracelet to the mobile phone while it is charging. 2. Please pair the bracelet with mobile phone during rst use. 3. When pairing the bracelet with mobile phone, please adjust the volume to the maximum. 4. For some mobile phones provided with DTS, please temporarily shut down it in the settings menu. 5. 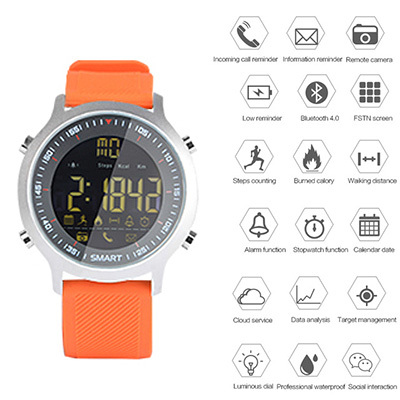 This is an All Day Pedometer Monitor Smart Watch. It will be auto-null the next day.